Memorabilia from Olympic Games Athens 2004. 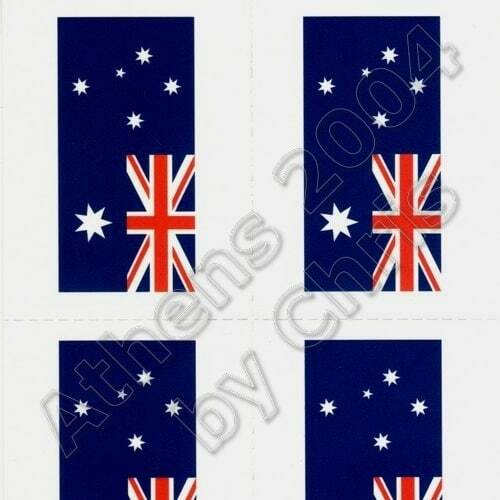 The series of tattoos memorabilia includes flags of countries. Wet tattoo generously with water, put tattoo face down on the skin or any other surface. Wati 40-50 seconds, gently slide backing paper away. Pat tatoo dry.